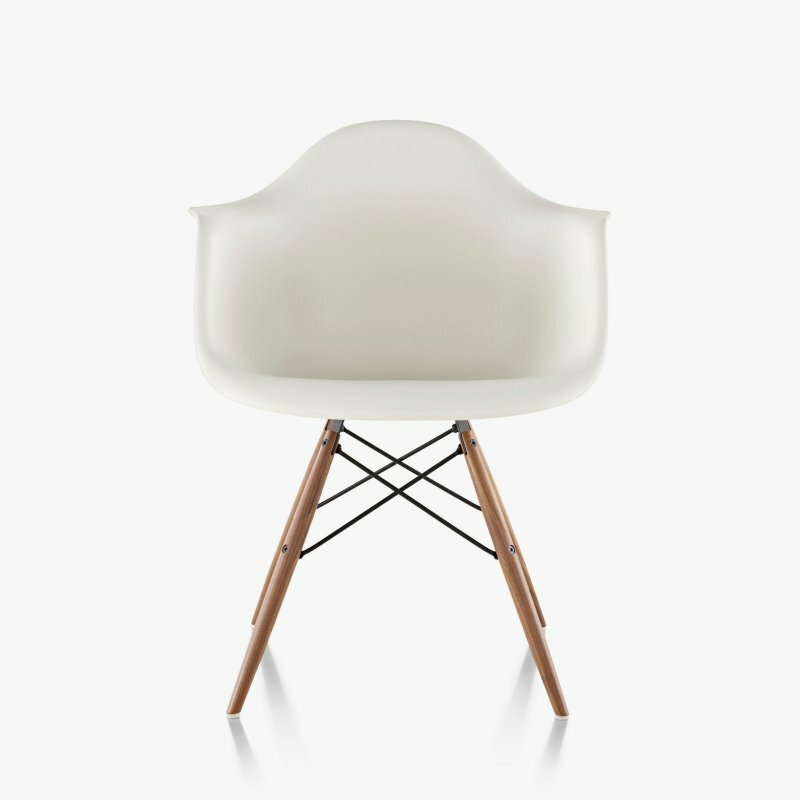 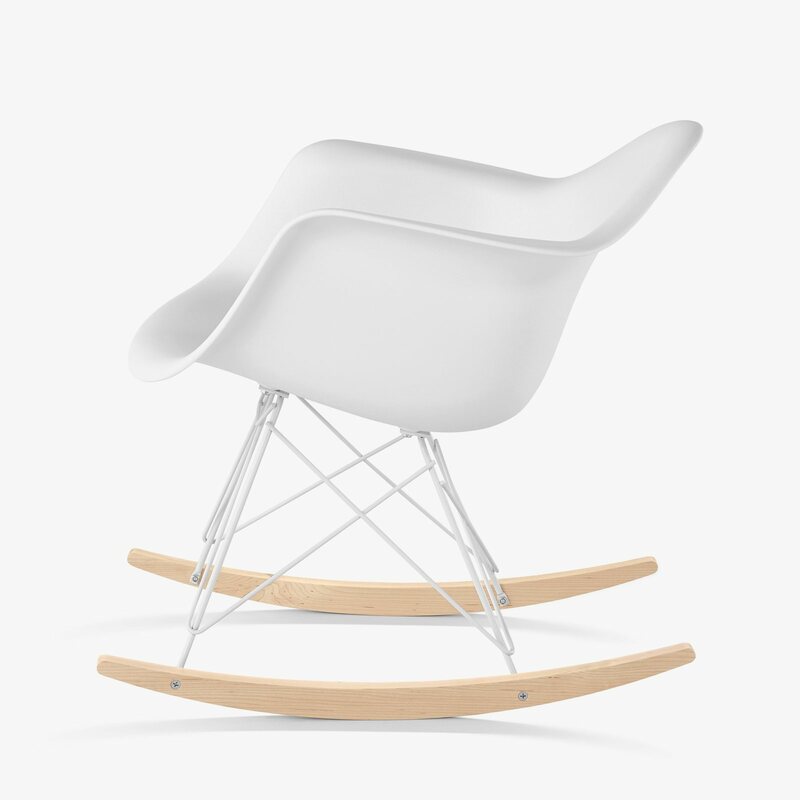 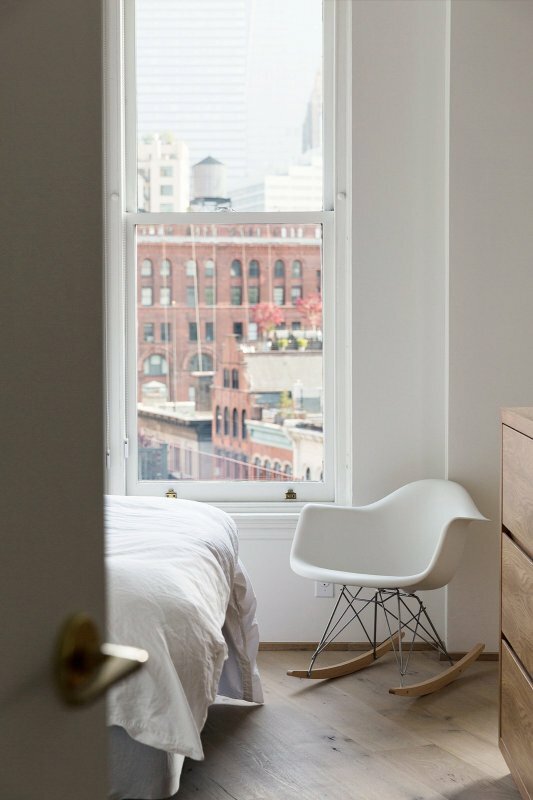 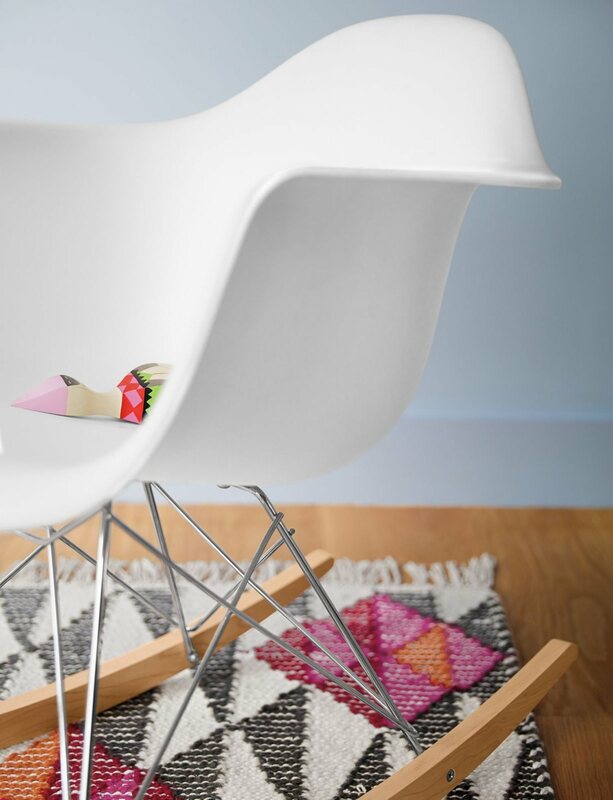 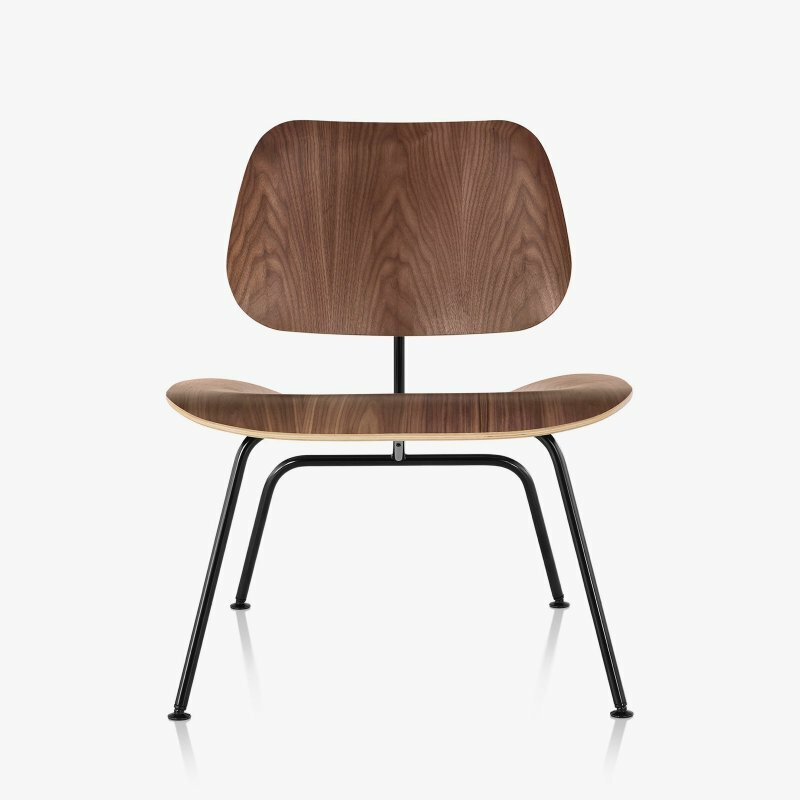 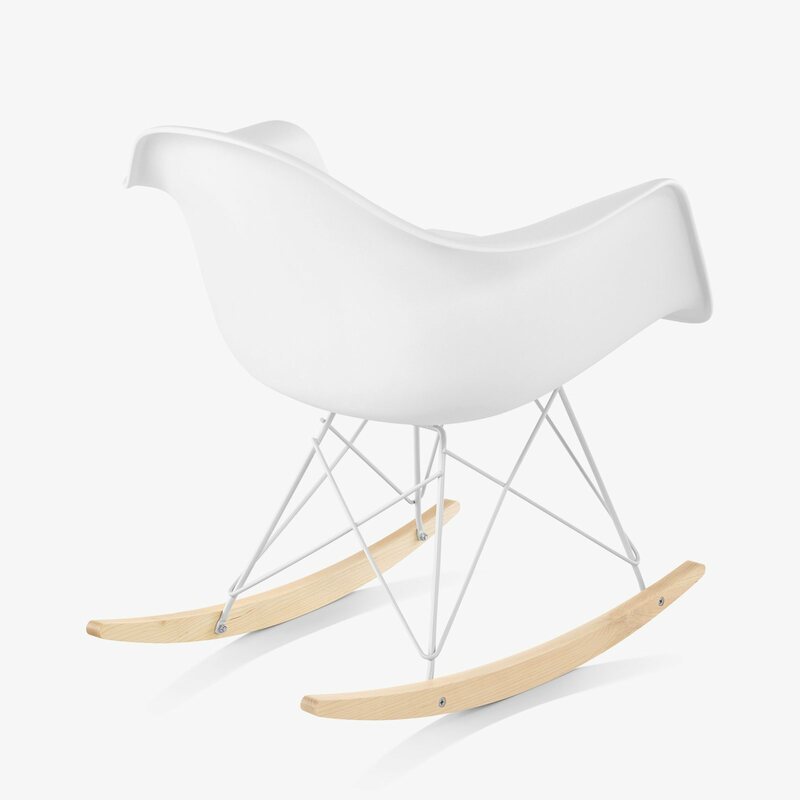 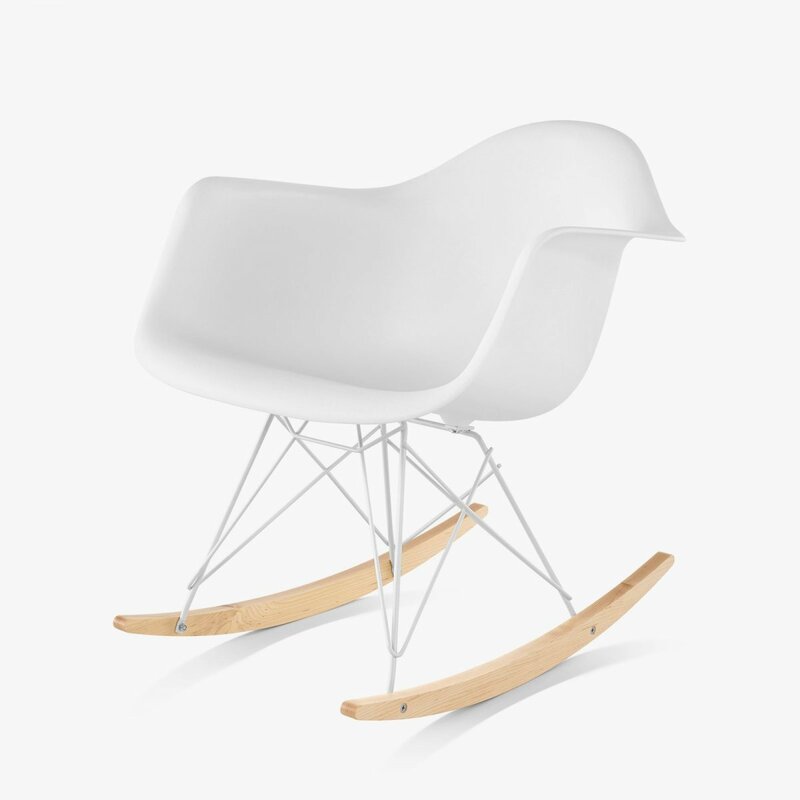 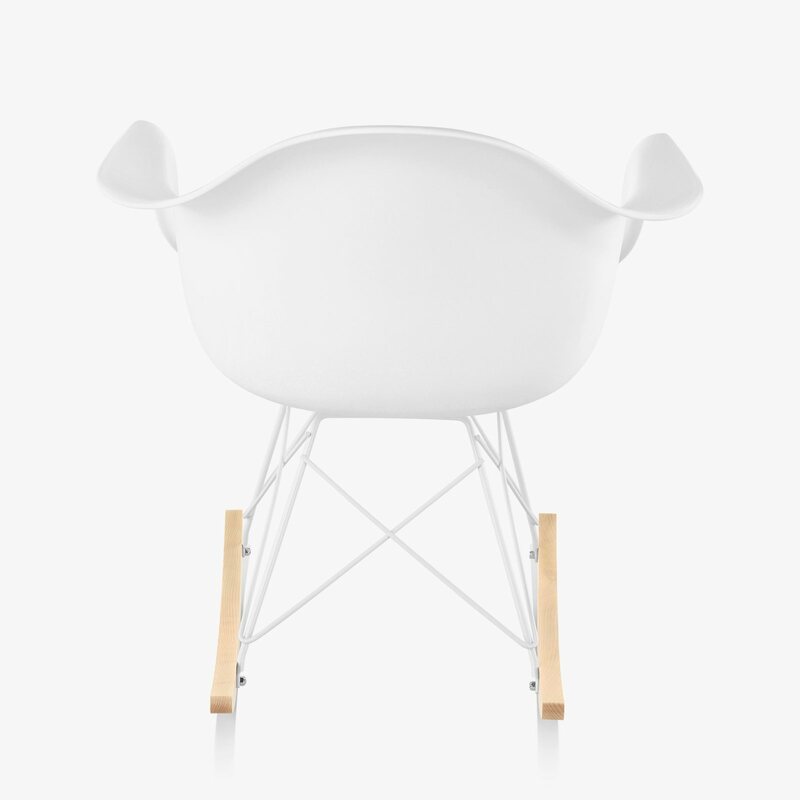 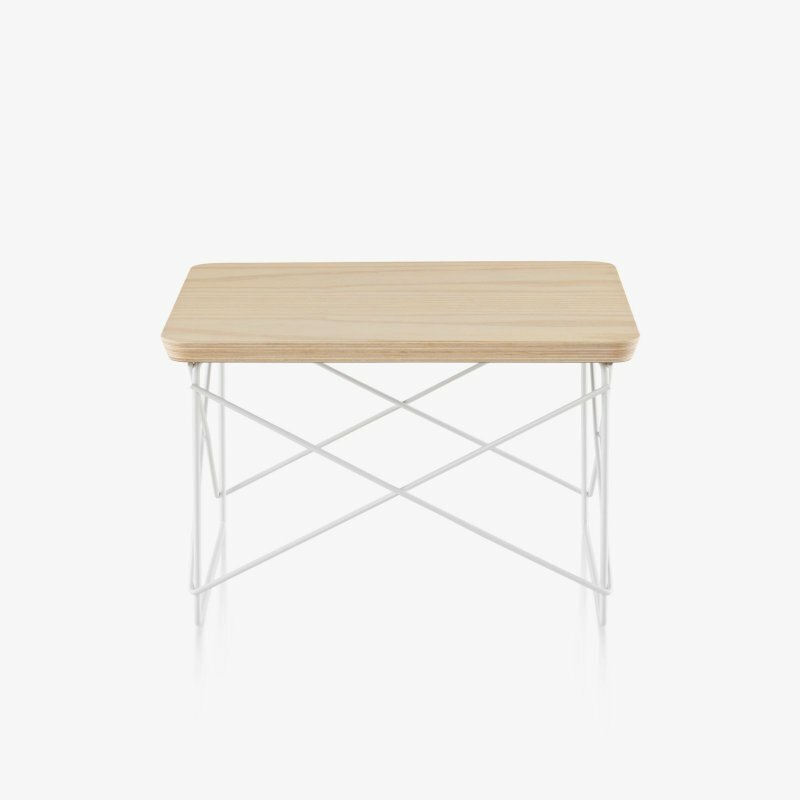 Eames Molded Plastic Armchair Rocker Base is a timeless rocking chair designed by Charles & Ray Eames for Herman Miller. 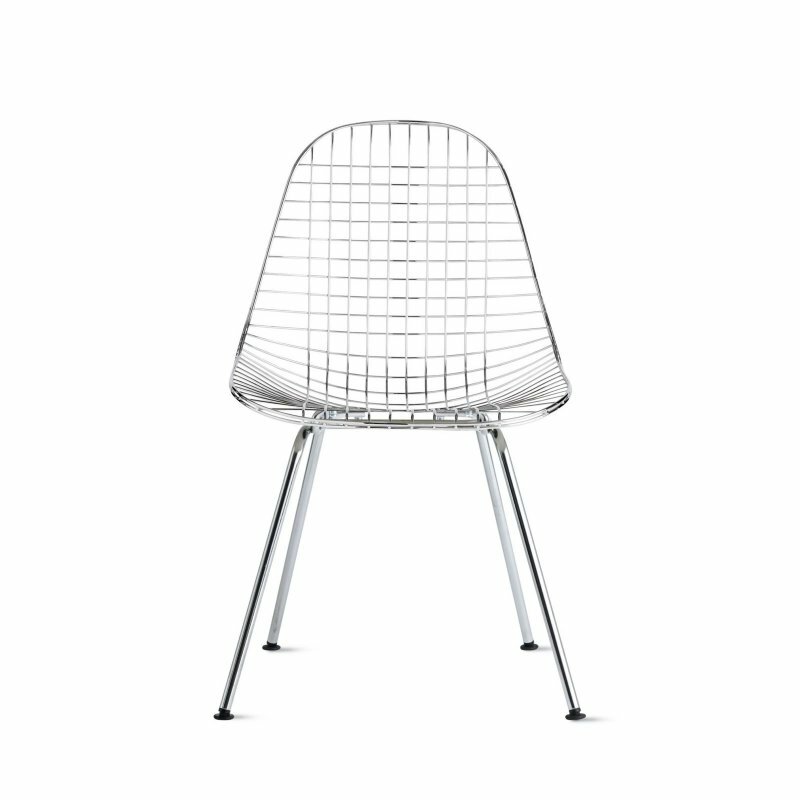 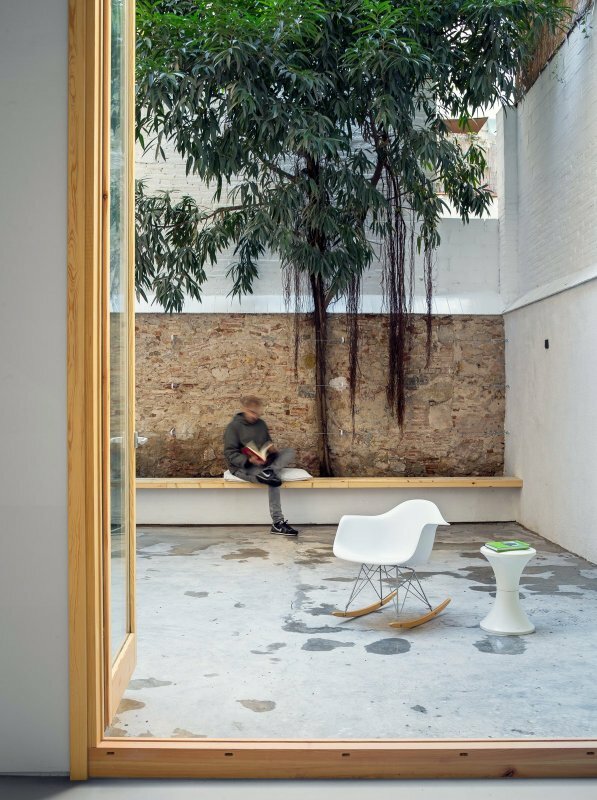 The one-piece shell is molded in recyclable polypropylene, which gives it a soft matte finish as light plays across its shadows and contours. 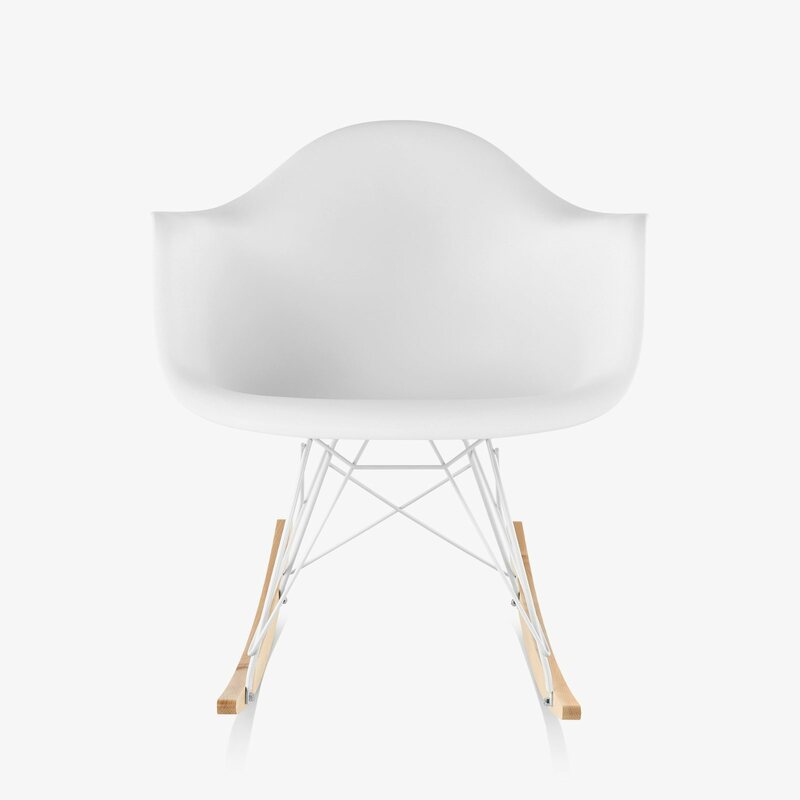 The colorful shell is supported by a wire frame and lovely hardwood rockers.